Lake Hamilton's Most Desirable 7 South area! Old Family Lake Estate. Solid home with 3 bedrooms. 297 feet of lake frontage on an acre of land just off the Hwy 7 So main channel. 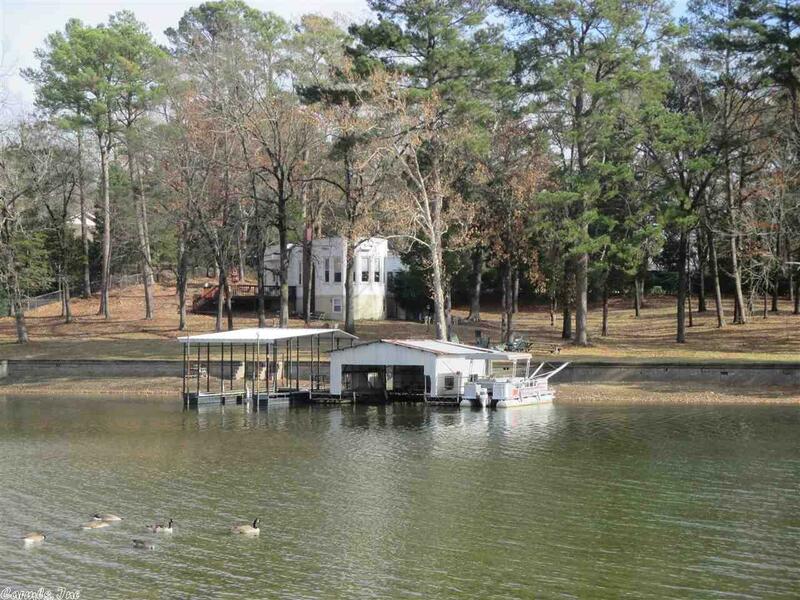 Zoned RL.Two boat docks incl 2 stall boat house, 1 stall covered and 2 tie ups. Enough space for 5 boats. House has hardwood floors, Gas fireplace, glassed in porch, and a full basement for storage plus stg building. Roof sealed about 3 years ago. Boat house 40 yrs, dock installed 2000.